A classic bomber done the Carhartt way. This women's jacket is made of mesh-lined canvas, with enough stretch for you to move around easily on the job. As functional as it is comfortable, this rugged layer includes two large pockets on the front and a small zip pocket on the chest. Turn garment inside out. Machine wash cold like colors. Non-chlorine ble ach. Tumble dry low. Warm iron. There is nothing better than an adorable yet functional work jacket. I love this thing. It fits true to size and has a large interior pocket to put a large cell phone, wallet or keys. It's my go to this spring. This jacket is exactly what I was searching for! So incredibly comfortable. The sleeves are plenty long on me, fits great in the shoulders, and the jacket length was perfect. The ribbed band along the bottom was fitted but not to tight, so it doesn’t bunch up. For reference, I’m 5’6”, 130, 32B and got a small. It’s got room to wear a sweatshirt underneath too. Definitely in love! I bought the black in my normal size L. Loved the fit. Washed it in cold. Dried on low. They do NOT wash well. Misshapen. Shrank quite a bit. I’m unhappy with the result especially because I was so in love with it at first. We’re a big fan of this brand, and have several coats, shirts, hoodies, pants and socks. This particular purchase has turned into a big dud and quickly. Bummer. Great jacket! Classic Carhartt ruggedness, but super stylish! Great fit, can be worn with any outfit. Have gotten many compliments. Best jacket ever! I’ve received more compliments on this jacket in the first day I got it! So comfortable, not to thick and not too thin. Perfect with anything! Pockets are great too. I can’t wait to buy in every color. I live in FL so we don’t get super cold weather. This is a must have layering piece for chilly nights outdoors! 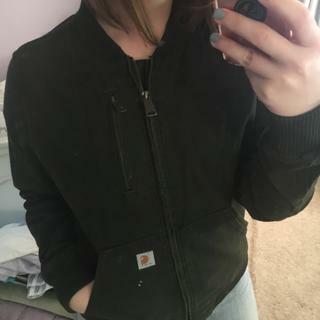 I have three other Carhartt jackets and I always get a size large, so I was a little reluctant after reading the reviews to order this in a large. So glad I did! Comfy and flattering on its own or over a hoodie! I got both black and brown to go with my clarksburg hoodies and they go very well with each color! im 5’8, 185 lbs and this jacket is going to be my favorite go to from now on! Not too tight around the shoulders or the sweep thanks to the ribbed band. Long enough to not ride up. Sleeves ride up a little while driving but not a deal breaker in the slightest! Definitely recommend to anyone looking for a nice, lightweight bomber jacket! TOTALLY LOVE this jacket! It’s comfy without being bulky and it transitions easily from the office to the field. I wear a Medium or Large in Carhartt depending on how I plan to wear/layer items. I bought this in a Large and it leaves enough room for layering with a hoodie but still looks great on its own. The netted lining was a great design call - easily slides off/on over any kind of shirt sleeves. 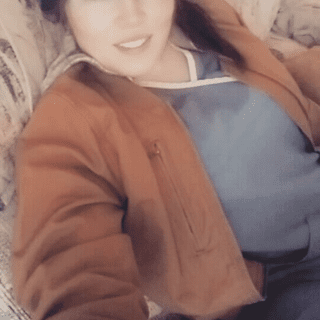 I work as a dock worker, I like a jacket over my layers of clothes. I would have liked a thicker outer shell but overall its nice. I hope the jacket holds up at the marina but time will tell. I liked the olive since we are required to wear olive/green. I have these in all three colors. The black one is a bit more fitting which is nice. It isn't as bulky on the arms as the previous two colors. The only issue is that the jacket attracts a lot of lent. Love, love this jacket. It looks great, feels great and only gets better with washing. Love it SO much I want every color. Thanks Carhartt for making women’s construction west that is stands up to the job and keeps us looking good! Bravo! This jacket is a perfect fit! 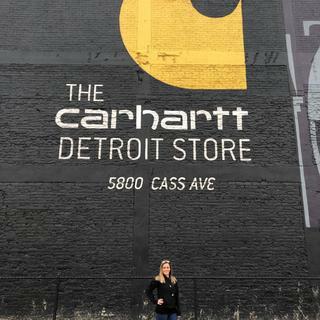 I love how well the clothing is at Carhartt! just bought this jacket for my girlfriend and she LOVES it!!! Fits great and is very durable! i would definitely recommend this to anyone! This is a great light weight jacket for fall or spring. I get at least one compliment every time I wear it. Bought this after reading all the positive reviews and I love it!!! I wear it all the time! 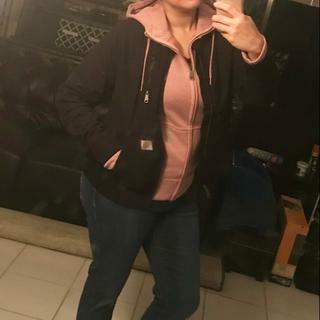 Wether going to work or going out it's my go to jacket and I so love the quality and how durable the material is I just can't get over how cute it is! I love this jacket!! It's so stinkin cute and comfy!! It's a great lightweight cool weather fall/spring jacket, and also a great layering piece for when it's not super cold out. I've only had it for a couple months but it feels durable and I'm sure being a Carhartt it will hold up well. 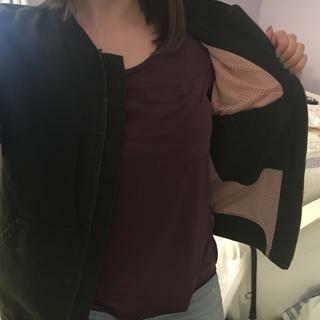 I'm 5'8 about 200 lbs on a large frame, I ordered a size large and it fits very well - not tight across the shoulders, body and sleeve length are good, still have room underneath for layering, and I can move freely in it. I have the Carhartt brown and plan on ordering the olive when it comes back in stock. Would definitely recommend!! I live on the US/CAN border and it gets cold early here. I've been wearing mine since late September and haven't been cold yet. I've been pairing it with a Carhartt hoodie recently with 25-30 degree weather and it's still doing the job. I really love this jacket it’s super cute to pair outfits with. It looks great with my boots. This jacket is so warm and I love the olive color, however it does fade fast. I wish there were more color options. For reference, I ordered an xs and I’m 5’1, 110lbs. Love the Crawford bomber jacket. 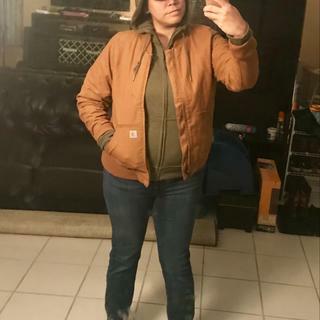 Purchased in standard Carhartt brown on a whim when I needed a fall jacket, and has been perfect for light fall weather and colder. Looks great with jeans and fall boots. Really great purchase for the price. My favorite new coat! I love it. It goes with almost everything! This jacket is not bulky but will keep you warm. Layered or not, very cute! Super disappointed. I ordered a size small based off the chart provided. Jacket is too big. Also seems to be un even. Debating if i should even bother trying to exchange it for a xsmall because the excitement i had for it, after receiving it, was such a let down. Super flattering cut in a nice lightweight jacket. I wear it every chance I get, holding up nicely! I was so excited when I found this jacket. I ware it all the time when it cool outside. Love the pockets one the inside and outside of the jacket. It is not for super cold weather though. I've been wanting this jacket for some time and when my size was finally available, I was excited to buy it! But I was expecting a warmer, thicker jacket and was surprised not to see any double layering of the fabric and barely any insulation. Regardless, I love the style and I'm happy with this purchase. It's almost better that it's not too thick for the SF, Bay Area climate and I can wear it anywhere. 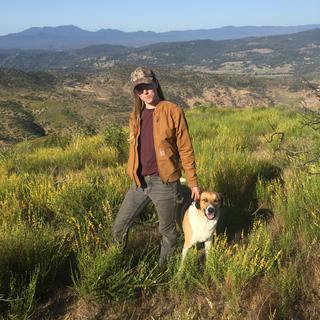 All Carhartt outfit with my dog on my ranch. I love this jacket. I wear it everyday. It's a perfect jacket for both warm and cold and it has a lot of pockets. The breast pocket is a little small but all the other pockets make up for it. LOVE this jacket. It's super comfortable and soft. I've been wearing it in the rain and it hasn't soaked through. I ordered according to the size chart and it was perfect. There's one pocket on the inside and my only wish would be to have another one (pockets are always a great thing!). Finally a nice work/casual jacket that fits perfect! It's not super form fitting nor is it bulky like many work jackets. I love it so much I am considering purchasing the olive color too! And for some sizing reference, I am 5'2", 125 lbs. The small fits perfect! My carhart bomber make me a better person. I put it on and I literally become magic. Everyone was clapping and shouting about how good I looked. I checked regularly for this to be back in stock in a small and finally I was able to order it. Comfy and looks great. It’s a bit short but I think that's the bomber style. Will pair well over a sweater. Love this jacket! So cute and comfy. Its definitely perfect for springtime in Washington. Were a Carhartt family, so I had no doubt I would love it as much as I do. Overall I love this, it's tough but still adorable. - Lining- pink, really? It's a thin lining that seems unnecessary. - Pretty small - Sadly I find these women's sizes to be a bit unpredictable. 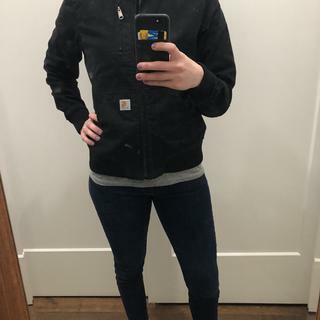 I have the Brewster denim jacket and it's plenty roomy in the same size, but this has tight arms and is smaller than the other jacket in the same size. Still, too adorable to return! It's tenable but worth noting. Your comments have been shared with Product Design. Please contact us at 1 800 833 3118 if we can further assist in any way. Love the carhartt quality with the softer and more flexible feel. Looks great paired with a hoody underneath! Love it! Cute and comfortable. Only complaint is that the pink lining in the inside and chest pocket is a little flimsy. I can feel a tiny hole in the chest pocket, but I don't think it will be a problem. Way cuter in person! Fits perfectly, is lightweight but still warm. Doesn't make me look bulky either like some carhartt coats. I would totally buy another in a different color. Although I LOVE my olive one, goes with so much. Worth every penny. My wife loved it. Great looking and material feels great. Great jacket for spring/fall in Iowa. I have gotten lots of compliments about this jacket. Does a great job of being functional and cute. One of the best jackets I've owned! This is the perfect lightweight jacket to wear when it's only slightly chilly but you still need something more substantial than a sweatshirt. Love the strategically placed outer and inner pockets. Great design, stylish to wear outside of work. Definitely recommend to all! Gave it as a gift, and she absolutely loves it! Fell in love with this in the store and was meeting my daughter. She also fell in love with it and bought the same jacket (this never happens). She bought it because it was stylish and a nice weight. I bought it because I trust the brand and I could layer this over a hoodie for spring or fall and wear it alone for summer shore nights. She wore it out that night and lamented that we forgot to buy waterproofing spray. Water beaded up on the jacket instead of soaking in and she was pleased about that. Used it this past fall and I will again this spring. It's so cute and I love the green color!!! Great jacket for cooler windy days. Runs true to size and is very flattering! I got both colors and also purchased another as a gift for my sister. Unlike many others out there, this bomber will probably last a very long time because it's quality and CARHARTT! The light pink lining on the inside of the olive bomber is beautiful and subtle. Not sure why other reviewers are complaining about the lining color. You cannot see it when you're wearing it and it's not a reversible bomber! Against my better judgement I took the advice of the size chart. The jacket is a perfect fit. What is the difference in sleeve length between the XS and S? Also, I read below that the model is wearing an XS, What is her height and weight? BEST ANSWER: The sleeve length for a XS is 33 inches and a small is 33 1/2 inches. The model is 5'10". BEST ANSWER: We apologize, but we don't have plans to bring the olive color back at this time. However, please know that customer feedback is definitely reviewed. It is possible that it may be reintroduced at some point in the future. The Crawford Bomber Jacket is going to be discontinued ? BEST ANSWER: This style is not been discontinued. We will have some colors that have been discontinued. Why don't you make this style for men? 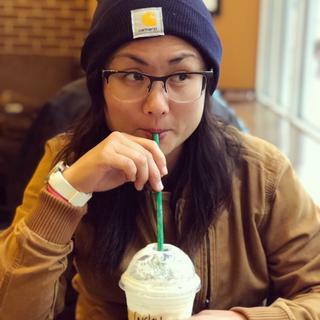 I'm 4'11inches tall and weigh about 135pounds what size should I purchase I've never purchased a Carhartt jacket but everytime I see someone wearing one I like it I'm impressed with the quality? BEST ANSWER: We would recommend following the size and fit guide located on the garment page and using your bust, and waist measurements. For further sizing assistance please contact our Customer Service Department at 1-800-833-3118. I'm 5'3 and about 130 - I ordered a small and it's pretty perfect. Where is this jacket imported from? BEST ANSWER: The 102524 is manufactured in China and India. Will the olive be available in the future? Will you be restocking the olive in medium? BRING BACK THE OLIVE JACKET!!? Is the olive color still discontinued? BEST ANSWER: Unfortunately, yes it is. Is this available in the Olive size small or medium? Why was the Xs in olive discontinued when so many people are asking for it? BEST ANSWER: The Moss color has been discontinued. We do not expect to receive any new stock for any sizes in the Moss color. We have forwarded your comments to our product team as a suggestion. When will the size small olive be restocked? Is this rain resistant? And is it good in cold weather? BEST ANSWER: This jacket is not rain resistant. It is lightweight with a mesh lining, so may not be the best choice for cold weather. Will you be getting more Extra Small sizes in stock in Olive? BEST ANSWER: We apologize, but the Olive color is being discontinued and is not being restocked. Will there be more colors soon? I wanted a coal and would be so disappointed if it doesn't come back. BEST ANSWER: We do not plan to release it in any additional colors in the immediate future. Unfortunately, coal has been discontinued. What pair of pants is the model wearing in the photos? BEST ANSWER: The model is wearing style 100723.
will you be getting more in the COAL or OLIVE color? Mine was stolen and I'm devastated!!! BEST ANSWER: We apologize, but both colors have been discontinued. However, we'll be glad to share your input with our Product Design department. When is the next restock for both colors? BEST ANSWER: We expect more stock of XS, S, M, and XXL in Carhartt Brown in early August. Unfortunately, we will not be getting any more stock of the Olive color. I see that you’re bringing olive color back this fall? Is this true? BEST ANSWER: Yes, we do plan to offer Olive this fall. When will you restock the cathartic brown size small? BEST ANSWER: We expect more stock within the next week or so. BEST ANSWER: We apologize, we do not plan to restock the Olive color. We are happy to forward a suggestion to our Product Design team. Will this jacket be back in a new color ? BEST ANSWER: We plan to offer this style in Olive and Carhartt Brown this fall. Will this be available in black anytime soon? BEST ANSWER: No, we do not have plans to carry this in black in the near future. When will the olive size small be restocked? BEST ANSWER: We apologize, but the color olive will not be restocked. I’m trying to decide between a S and a M for the bomber jacket. Based on your size chart for outerwear I would be a small, but your True Fit Size guide recommends a medium. I am 5’6”, 135lb athletic build, 34” bust and 28” waist. Do you recommend the S or M? Thanks! BEST ANSWER: For your bust and waist measurements we would recommend a size Small. When will the olive color be restocked in XXL? BEST ANSWER: We will not be receiving any more stock. When will the 2XL olive be back in stock? BEST ANSWER: Unfortunately, we will not be getting any olive back in stock in this style. WHEN WILL THE OLIVE XS AND S BE BACK IN STOCK? BEST ANSWER: We do not plan to restock size xs, we do plan to restock size small around the middle of January 2018. When will the Small in Carhartt brown be restocked? BEST ANSWER: We plan to restock it around the beginning of February 2018.